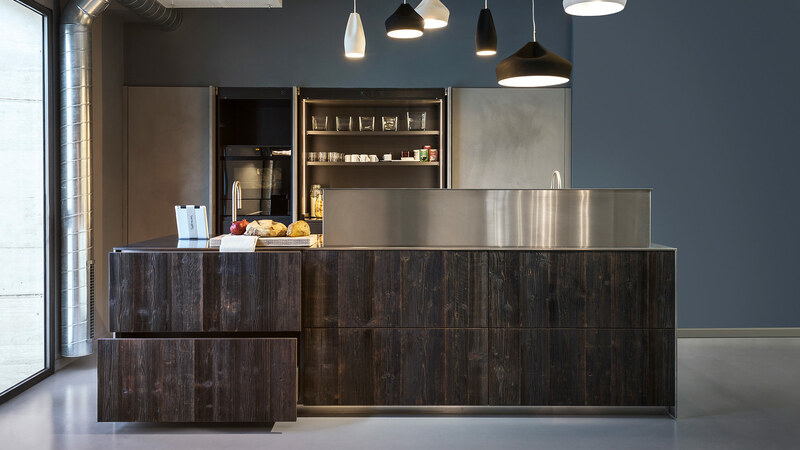 This kitchen with island with steel and black pine wood is a kitchen based on the D90 concept, borrowing suggestions from modern architecture. 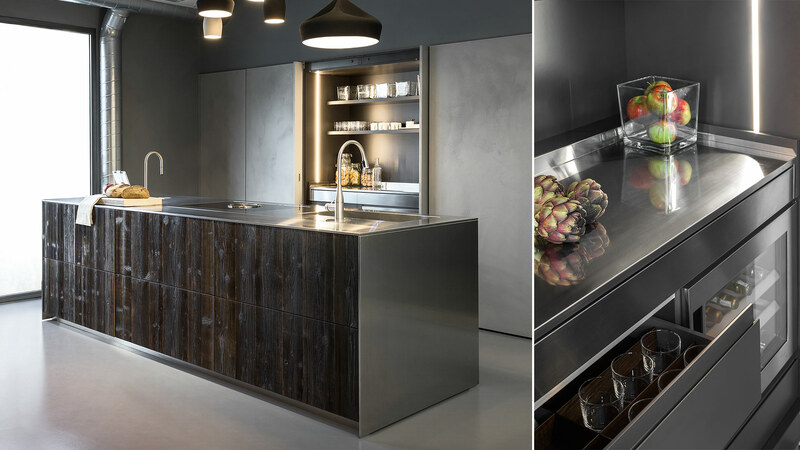 The fronts of the island is in essence of black pine, the sides and the worktop are made of steel. 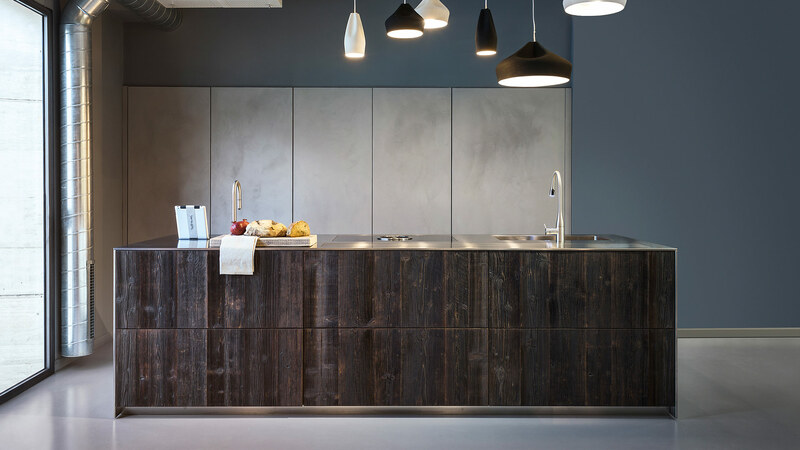 The worktop is bundled with a cooking surface, a fully welded sink and a vertically foldaway pantry which can be controlled with a mobile app. 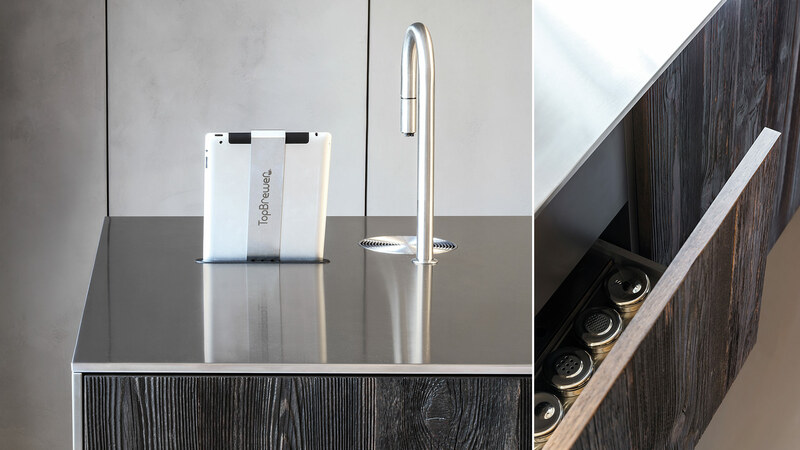 The kitchen island is provided with a Scanomat system, capable to deliver cold and hot beverages, fully controlled with the very same mobile app. 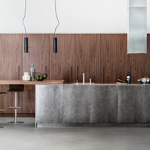 The columns are embedded in the wall and have unit doors finished in ecomalta with a concrete effect. 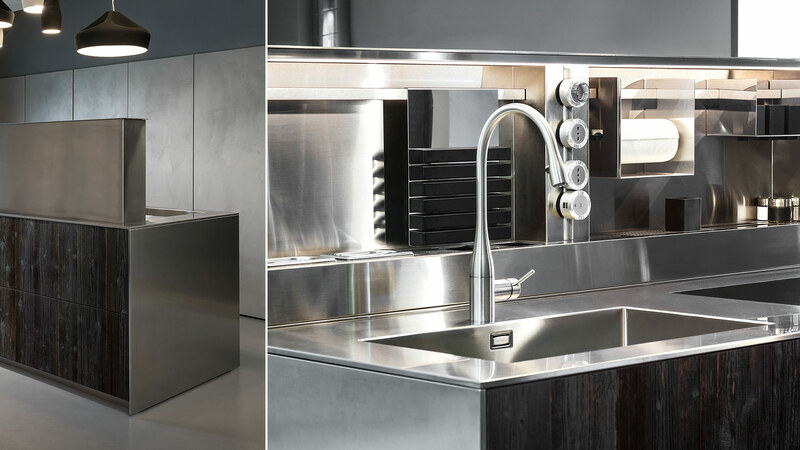 Inside, an equipped column is placed, provided with a LED illumination system and a foldaway worktop made of steel. One of the unit door of columns composition is actually a door, leading to technical rooms.